"The spring, all flowers open, begonia flower bloom in Xihua hall. The master who seeing the flowers has gone, twelve years passed away, left us, he did not come back again." 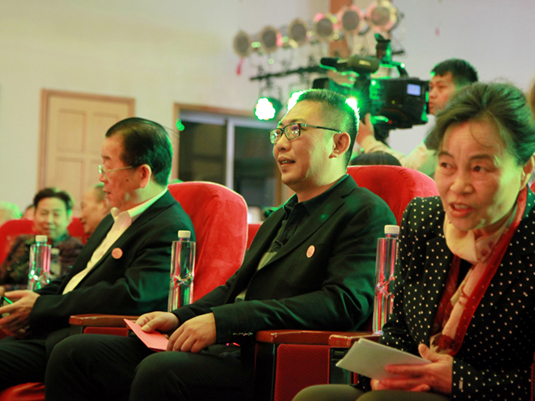 The Begonia Blossom Festival , Ninglin Du with her soulful reading put us into infinite thoughts and sincere emotion, so that the number of people listen to tears. 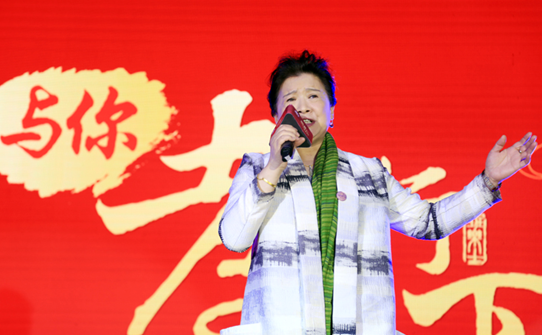 National first-class performer, Ninglin Du is recognized as model of filial piety, who also is special guess of Balas Filial Piety Activity With you caring for the elderly welfare activities. 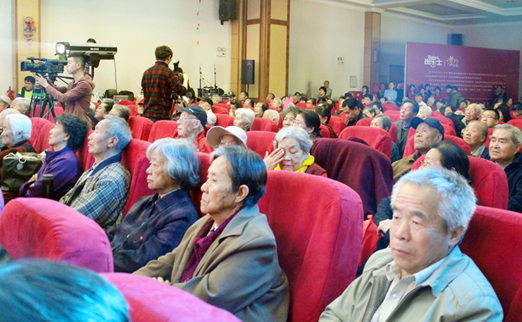 A soulful poem recitation, is a show of Ninglin Du for the elderly in Sijiqing Homes. Activities onsite, the elderly is moved with tears. Stars are invited to participate in BalasFilial Piety Activity With you also are: Chinese evergreen music famous singer Jieshi Wang and with a song "Jiu Mei" popular in the north and south of the young singer Hengxiang Huang. 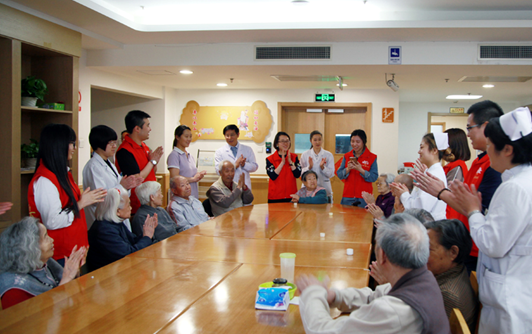 This activity aims to bring the elderly friends with care and joy, and advocate social circles together with Balas Adult Diaper Manufacturer to concern about the older age groups, to carry forward the Chinese traditional culture of filial piety, with practical action to practice filial piety. It is reported attengd this activity also has, that Chiaus Group Chairman Jiaming Zheng, China Aging Development Foundation vice chairman Guorong Zhang, the China aging development foundation My Elders Public Media Fund Management Committee deputy director Yanan Chui --- and CCTV Old Story Channel Column Group and Beijing Siji Green Nursing Home secretary Zhongli Liu. 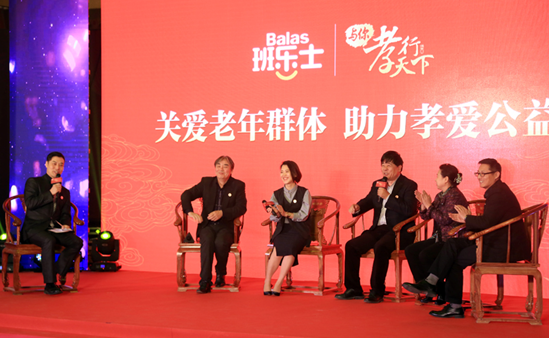 Conference and event organizers appointed Chiaus Group senior adviser, Balas Adult Diaper R & D team chief technology officer Mr Zengyang Yang Balas Filial Piety Activity With you charity ambassador and called for more social groups and individuals together with Balas to practice filial piety in life. 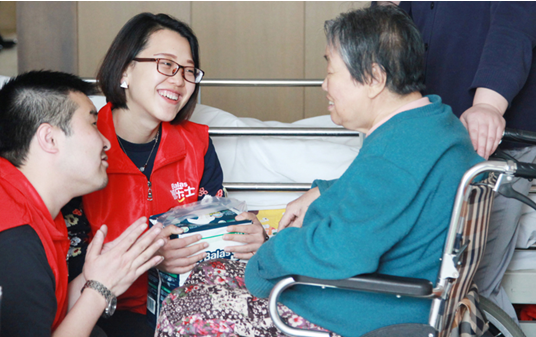 When the host asked Mr Yang the reason of returning to work and participate with Balas adult diapers after retiring, he said, " I often see the disabled elderly aronud living inconvenience, I hope to bring them with the best technology, helping the old friend today is to help us tomorrow". Balas brand attention product research and development, in support of Chiaus Group Jiaming Zheng, Balas products won the national invention patent of "double cotton core" adult diapers. In future class, Balas R & D team will also continue to design more excellent performance, safe and comfortable products, provide quality services for the health of the elderly in later life. Balas Double Cotton core Adult Diaper, use the small cotton core below, the big cotton core above processing tecnology, also between the cotton cors increased a pair groove, not only increase product comfort, rapid infiltration absorption and diffusion speed. Even the famous singing circles Jieshi Wang could not help but kidding, driving people to use this diaper is also excellent, to solve physiological problems in traffic jam. The old today is our tomorrow, filial piety is a mirror, to help them is to help yourself in the future. Activity on-site, Chiaus Group Chairman Jiaming Zheng on behalf of Balas donated valuing $60 million adult nursing products to China Aging Development Foundation, and pledged to bring the best products and the most advanced patented technology to the elderly population, also infected the people by love who together with Balas to carry forward the culture of filial piety. Concern about the elderly group, spread of filial piety spirit, use love to care for the elderly’ inner world. What’s love, the young singer Hexiang Huang expressed by the song “Love, is the flower bud of heart, life is valuable only with love”. And famous singer Jieshi Wang also sang by Grandma's Penghu Bay to tell us that, love is two and half feetprint in beach, love is accompany. If the filial piety is a permanent flowing river, our love to parent's is the waves of the river flush. “Expend the respect of the aged in one’s family to that of other families; expend the love of the young ones in one’s family to that of other families”, with the heart of loving the family to love the elders, with love to let the waves together into the sea. Balas use love spreads love, appealing for more social force together with Balas to practice filial piety.